The Pro Golf Secret » Lead Story Should I buy a new set of clubs? A new set of golf clubs isn’t for everyone. Most people believe that their golf game will be magically improved due to a brand new set of custom golf clubs. This is far from the case, and many people don’t realize this till after they have invested over $400 for a new set of Callaway clubs. When is a new set of golf clubs right for you? When should you consider a set of custom golf clubs? Sorry about breaking this news to you at the beginning, but for most golfers, a set of custom clubs is not the right option. Most golfers would be better off working on their golf swing rather than investing paychecks into a custom set. Sure, there are many advantages of having a custom set of golf clubs. If you know your strengths and weaknesses, a custom set can be built to offset that weakness. Many clubs can be built with slick or draw built right in. After you feel comfortable with your game, and weaknesses, it is only then that I would consider recommending a custom set. I recommend most beginners start out with a used pair of quality clubs. Look for something durable, yet inexpensive. Most experience golfers have gone through many sets of clubs, and it’s wise to realize this in the beginning. The quality of the club is less important if your golf swing isn’t up to par. Definitely worth reading. Considering all the places here’s a site that is about the most helpful blog post in regards to Should I buy a new set of clubs? I’ve visited. It has informative posts. Thanks for never disappointing. pretty useful information men, congratulations, if you want i have some related topics on my web page, my url is linked to my page. 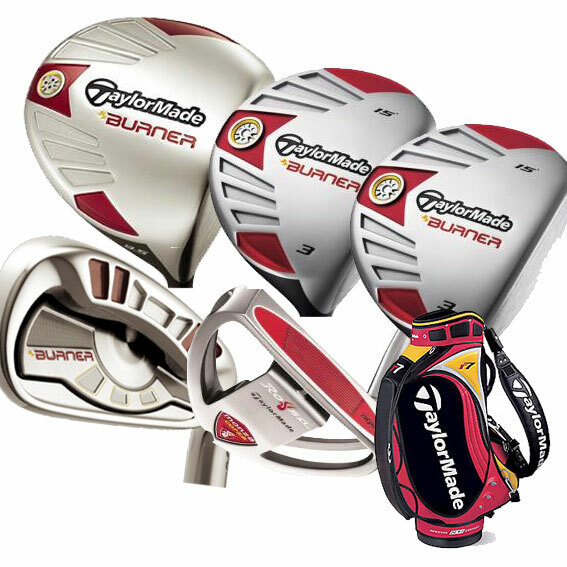 I have sampled almost any golf-club brand name and also decided most of these golf clubs is also the most reliable there exists,along with the fresh new models moving on the stage in recent months it definately is difficult to decide what to pick up. Believe that I may choose several of them collectively to become accustomed to using those to find if it turns out they’re seriously worth purchasing a full set up. Ive tested out almost any golf club model and also have decided some of these sets are definitely the finest you can find,having the newest versions arriving into the stage as of late it certainly is tough to consider just what to get. Suppose I may invest in several of them along in order to get accustomed to playing with those to find if, perhaps they’re worth investing in a full new set. I was looking for some cool golf reviews and came across this on Google! This is a very useful post! Really appreciate you for posting this!